I have previously pointed out that we can (and should) break up the giant, insolvent banks under a number of different laws. Indeed, the government could break up the “systemically dangerous institutions” under 100-year old antitrust laws. 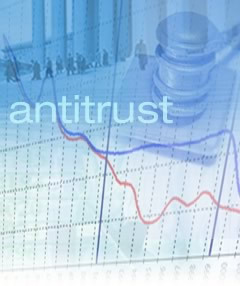 The two primary U.S. antitrust laws are the Sherman and the Clayton Acts. I’ll give a very brief overview of the two acts. The Sherman Act (15 U.S.C. Sections 1-7) – enacted in 1890 – makes trusts and cartels illegal. The Clayton Act (15 U.S.C. Sections 12-27 and 29 U.S.C. Sections 52-53) – passed in 1914 – makes it illegal to use price discrimination, exclusive dealings, “tying”, mergers and acquisitions which substantially lessen competition, or to perform certain other anti-competitive acts. Have the Giant Banks Violated the Anti-Trust Laws? The big banks have gotten bigger and bigger. Noted economist Mark Zandi says we have an oligopoly of banks, and that “the oligopoly has tightened”. Oligopolies and cartels are closely interrelated, in that cartels (e.g. agreements to fix prices) arise when there is an oligopoly (i.e. when a few firms control a market). President Obama’s top antitrust official this week plans to restore an aggressive enforcement policy against corporations that use their market dominance to elbow out competitors or to keep them from gaining market share. In other words, the “tightened oligopoly” described by Zandi has precluded small and mid-size banks from competing with the too-big-to-fails. The giants (especially Goldman Sachs) have also used high-frequency program trading which not only distorted the markets – making up more than 70% of stock trades – but which also let the program trading giants take a sneak peak at what the real (aka “human”) traders are buying and selling, and then trade on the insider information. See this, this, this and this. (This is frontrunning, which is illegal; but it is a lot bigger than garden variety frontrunning, because the program traders are not only trading based on inside knowledge of what their own clients are doing, they are also trading based on knowledge of what all other traders are doing). Goldman also admitted that its proprietary trading program can “manipulate the markets in unfair ways”. And JP Morgan Chase, Bank of America, Goldman Sachs, Citigroup, and Morgan Stanley together hold 80% of the country’s derivatives risk, and 96% of the exposure to credit derivatives. Federal investigators are currently looking into whether illegal, collusive actions took place with regards to derivatives by the giant banks and others (mainly in regard to credit default swaps). The giant banks have also allegedly used their Counterparty Risk Management Policy Group (CRMPG) to exchange secret information and formulate coordinated mutually beneficial actions, all with the government’s blessings. Indeed, good lawyers could prove numerous antitrust violations by the giant, insolvent banks.